Sylvia Plath was born in 1932 in Massachusetts. Her books include the poetry collections The Colossus, Crossing the Water, Winter Trees, Ariel, and The Collected Poems, which won the Pulitzer Prize. 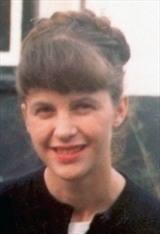 Plath is credited with being a pioneer of the 20th-century style of writing called confessional poetry. Her poem "Daddy" is one of the best-known examples of this genre. In 1963, Plath's semi-autobiographic novel The Bell Jar was published under the pseudonym "Victoria Lucas"; it was reissued in 1966 under her own name. A complete and uncut facsimile edition of Ariel was published in 2004 with her original selection and arrangement of poems. She was married to the poet Ted Hughes, with whom she had a daughter, Frieda, and a son, Nicholas. She died in London in 1963.